If you’re like most parents, a time will come when you will wonder whether your kids are out to get you. They will talk back and question pretty much everything. Children are among the world’s most terrible procrastinators. Sometimes you’ll think of giving in; at other times you’ll give in just to keep your sanity. The Oxford dictionary defines procrastination as deferring action without good reason. Recent studies have found that “putting something off until later” can have dramatic effects. There is hope though: one study has found that people procrastinate less as they age and develop skills to overcome procrastination. Many procrastination researchers support the view that people can learn to avoid procrastination. Indeed, some researchers have shown that the more individuals practise, the less likely they are to procrastinate. Procrastination is an age-old problem and it affects people of all ages. 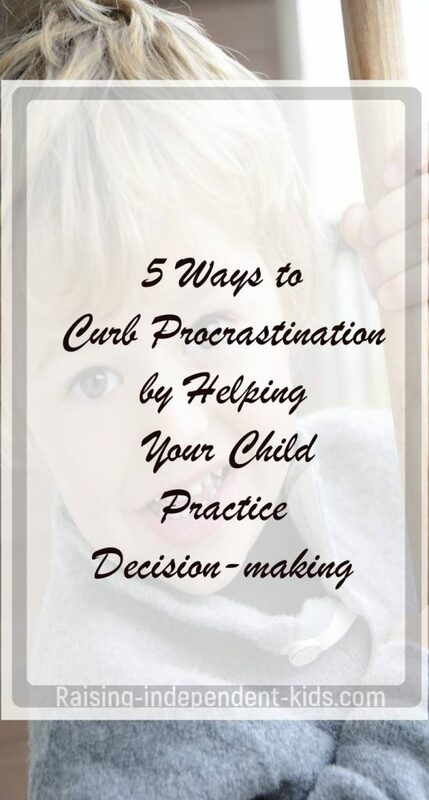 Procrastination in children can be complicated because, depending on their age, children cannot be held fully responsible for their actions (or lack thereof). If your child consistently fails to do his/her homework, his/her teacher will eventually get in touch with you. If he/she constantly refuses to brush his/her teeth, you are the one who will end up taking him/her to the dentist. Procrastination in children is terrible because it affects you just as much as your child. And a procrastinating child can drive you up the wall. So, what do you do when you’re just about at your wit’s end because your child won’t do his/her homework or brush his/her teeth just yet? What do you do when your every request is met with “just five more minutes”? 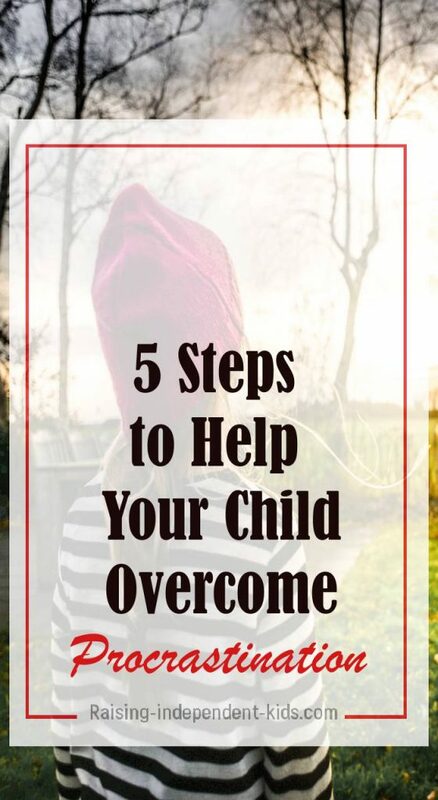 There is evidence to suggest that encouraging children and adolescents to participate in decision-making might just be the most useful tool you could use to manage your child without losing your mind. “Autonomy granting” is a term used by development psychologists to refer to the assumption that parents are initially responsible for decision-making and then transfer this right to children through parent-controlled processes. This transfer of decision-making is considered a key element of parenting. A child’s ability to make sound decisions increases between the ages of eight/nine and 13, and he/she gains decision autonomy (i.e., the ability to make decisions without parental involvement) between the ages of 12 and 17. When it comes to younger children, structured decision-making may be more appropriate. Structured decision-making involves shared responsibility that balances parental authority and child independence. It is widely accepted that granting children independence promotes positive developmental outcomes and helps children gain self-confidence by enabling them to act independently and experience their own mistakes. Encouraging your children to make choices is a win-win situation. Children’s demand for autonomy is a well-known phenomenon. It enables them to feel in charge and makes it easier for them to cooperate. Discussion and negotiation are an investment in children’s future decision-making. However, different things should be kept in mind depending on your child’s age. Below are some of the strategies you might use with your procrastinating child. Giving limited options to your child provides a structure but also lets your child participate in decision-making. For instance, instead of telling your child to do something (“it’s time to do your homework” or “go and do your homework)”, you could say “do you want to do your homework right now or immediately after your snack”? “Do you want to brush your teeth now or in five minutes? (Setting an alarm to ring after the five minutes can be a powerful tool – “as soon as the alarm rings, you go and brush your teeth”). Giving limited options is particularly important when dealing with younger children for whom making a choice can be difficult. They can also be incorporated with very young children: “would you like the blue or the red dress”? If you child wants to be more involved in decision-making, you can also avoid conflict by separating, for instance “clothes/shoes for school” from “clothes/shoes for parties” / “clothes/shoes for home”. That way you’ll prevent your child from choosing to go to school wearing his/her Halloween costume. When using limited options, it is important to be firm and to let your child know that the decision he/she makes must be respected. A second option that may work well is to set a time-frame and ask your child to decide when he/she will perform a given task/action. Setting appropriate limits provides your child with the opportunity to make a decision within a very broad structure. For instance, you could tell your child that he can go to the shower whenever he wants to, so long as by 10 a.m (or whatever time you decide) he/she has finished showering. This approach enables your child to feel in control of decision-making. A child’s say increases with age. However, when you tell your child that he/she can choose any extracurricular activity, be careful to let him/her know that he/she must choose at least one activity. When you give your child a wide choice, be sure that you can live with whatever he/she chooses. Rewards can help motivate your child to perform a task or activity he/she is otherwise unwilling to do. 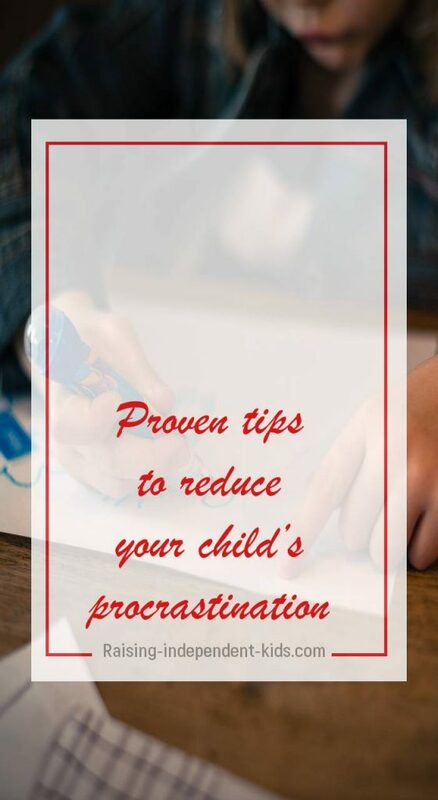 For instance, telling your child that he/she can play video games or watch TV as soon as his/her homework is finished might motivate him/her to stop procrastinating. As research has shown, younger children prefer smaller and more immediate rewards than larger but delayed rewards. This is linked to the fact that, the longer the delay, the less the subjective value of a reward. Proposing smaller immediate rewards to younger children is thus more likely to be successful than expecting them to wait for larger but delayed rewards. Dealing with older children is more complicated because parents cannot and should not control everything. It is often with older children that power struggles begin. These moments, however, can also be learning moments. There is much evidence to suggest that gradually transferring decision-making to your child is better than premature independence or prolonged dependency. According to the book At the Threshold: The Developing Adolescent (the skills necessary for sound decision-making – the ability to generate and weigh alternatives) develop rapidly from about the age of eight up to the age of 15/16. Your child’s attainment of this age may thus provide an opportunity to teach him/her that choices have consequences. It is important for your child to be aware of the possible consequences of his/her action or inaction. Explain these to your child and then let him/her choose. 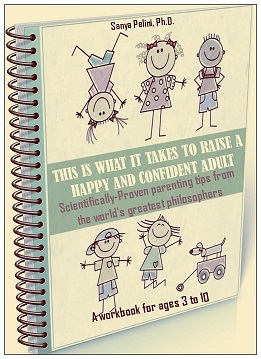 If you’ve enjoyed this post, you’ll love my Workbook “This is what it takes to raise happy and confident kids. This workbook draws on ideas and resources from research and the world’s greatest philosophers to bring you strategies you can start using immediately. Check it out here.